Just being in the presence of this charming Albus Dumbledore itty bittys could very well fill you with newfound wisdom and an honorable outlook on life. With his iconic hat, robe and regal silver beard, this plush likeness of Hogwarts' revered headmaster deserves a prominent place in your Harry Potter collection. 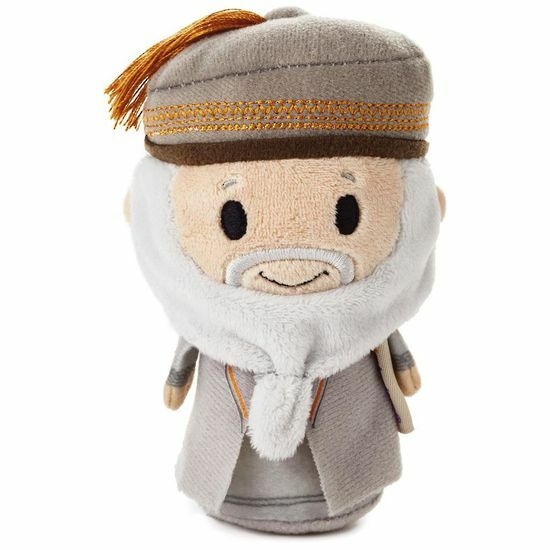 Albus Dumbledore itty bittys stuffed animal is crafted from soft plush fabric.